Limited Quantity ... Hurry before they're gone! Call us for help with your resume! Call us and have one of our writers help you with your resume. Call 1-800-482-1303 now! Post your resume online to thousands of employers. Use Employment 911's FREE resume posting to create an online resume and post it to thousands of employers. It is also a valuable way for you to store your resume on the web. Our career tools area has valuable resources to help you in your career, including free resume writing and employment help guides: Helpful articles, stories on employment, relocation tools and online multimedia career videos will assist you in every aspect of your career. 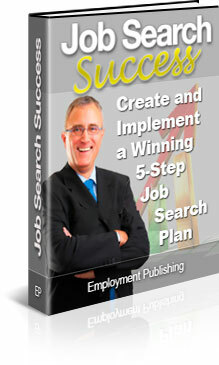 Use our FREE job search manager to organize your job search. Your own online task scheduler, address book, calendar, free job search help book and Employment 911 email address will help keep your job search organized. Enter all the employers you are interested in and keep track of addresses, phone numbers and appointments with them. You can schedule follow-ups with and even be reminded by pager. Why use your personal or business email address when you can use Employment 911's? Keep job offers separated from your personal email so they don't get lost in all the junk mail. Keep your boss from finding out about your job search. CALL 1-800-727-7595, Option 4 To Post your jobs to more than 7,000 Job Sites! Post your jobs to our network of over 20 million job seekers in one click. That is more job seekers than the top 10 career sites combined! Send your jobs to: Career web sites, newsgroups, colleges, universities, technical schools, vocational schools and job placement centers. Get more qualified applicants. Act now and get up to 50% off and FREE unlimited resume searching! Sign up today and use our automatic resume search. We'll send you resumes automatically every time a new job seeker posts a resume matching your requirements. Post a job with us and get unlimited 30-day access to our resume database. With web based address book, calendar, tasks and email you can keep track of your applicants from anywhere in the world. You can even be reminded of tasks and appointments by pager. CALL 1-800-727-7595, Option 4 To Find Great Employees Fast! Sign up to Employment 911 today! It's FREE!